Augmented Reality is currently one of the hottest game development trends, as it can amazingly blend real world with the digital world. PlayCanvasAR is an extension for PlayCanvas, a 3D HTML5 game engine. 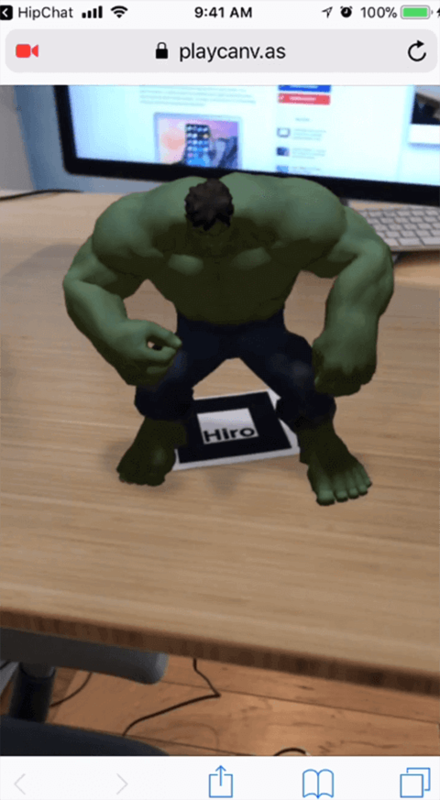 PlayCanvasAR lets you build an augmented reality (AR) for Web and mobile without having to program anything, but it is powerful enough if you are an advanced programmer. All you need is the familiarity of PlayCanvas Editor if you have not tried it yet. It is well-optimized and can deliver 60 frames per second, even if you are using mobile. It has a marker-based tracking which utilizes the open source ARToolkit. It also has astounding visuals as it runs under PlayCanvas’ advanced WebGL graphics engine. If you want to try creating the next trend in HTML5 game development, check it out here!